In a world of unified communications, video conferencing, bring-your-own-devices-to-work policies and other cutting-edge communications, the voicemail message remains essential. It’s a unique calling card. If your greeting is engaging, callers are liable to be impressed, perhaps at a subconscious level. If, however, you come across as fuzzy or long-winded, you may plant seeds of doubt about your professionalism. With that in mind, here are some tips and scripts for voicemail excellence. You might even make voicemail recording lessons part of your standard employee training. Make your message crisp and to the point. Say hello, and state your name, your business name and, if you want, your job title. Relay that you’re out of the office or away from your phone. If you choose, provide your email address or another company phone number for urgent requests. Then request any information the caller should leave for you. Most likely, you’ll want the person’s name, phone number and their reason for calling. You might give the caller an idea of when you’ll return the call, but you don’t have to. It would be worse to provide a time frame you aren’t able to meet, so don’t overpromise. It’s best to avoid a monotone. Although you’re presenting basic facts, try to sound genial and somewhat enthusiastic. As you’re reciting your message, you might smile and think of something that makes you happy – a recent skiing trip, for example – or pretend that you’re speaking to an old friend. Going for voicemail humor is rarely a good idea. To those who call you repeatedly, your message will quickly lose its charm. A caller with a different sense of humor may misunderstand you. And for someone calling you in an emergency, your attempt at wit could seem dreadfully out of place. Before you record your voicemail, practice your lines a few times so the words are familiar. Find a happy medium between rushed and drawn out. And, if you trip over your tongue as you record, just start over. When you’re done, play your message back. Is each word audible? Better yet, ask a few colleagues or friends to listen to it if you are unsure. Can they hear everything you say easily? Do they have any other useful feedback? Hello, you’ve reached Jim Jimby, vice president of customer success at Winning at Life Industries. I’ll be out of the office until [date returning]. Please leave your name, number and reason for calling at the beep, and I’ll be happy to return your call when I’m back. For anything urgent in my absence, please contact our main call center. Thank you! Hi, this is Sarah Sarahson at Awesome Technologies. If you leave me your name and phone number, I’ll get back to you as soon as possible. And, if you need assistance right away, please call our main helpline at 1-800-555-1234. Have a great day! Thanks for calling. This is Willie Williams at Sweat It Out Fitness. I’ll be away from my desk today but please feel free to leave a message with your name and number. You can also email me at Willie@hugemuscles.com. We look forward to serving you. Whether your work phone is a mobile phone, a landline or a wearable, your voicemail recordings are important. If you can do relatively simple things like voicemail messages professionally, consumers will be more likely to consider trusting you with more important things – like securing their sensitive data. Every voicemail becomes part of your brand. 60% of Mobile Employees Rely on Three or More Devices. While workplace mobility has become the new norm, it can leave a company vulnerable by exposing proprietary data. Organizations are looking for proven, trusted IT partners that can help clients manage, transport and protect their data. At ISG, that’s exactly what we do. Watch our two-minute video below to learn more. 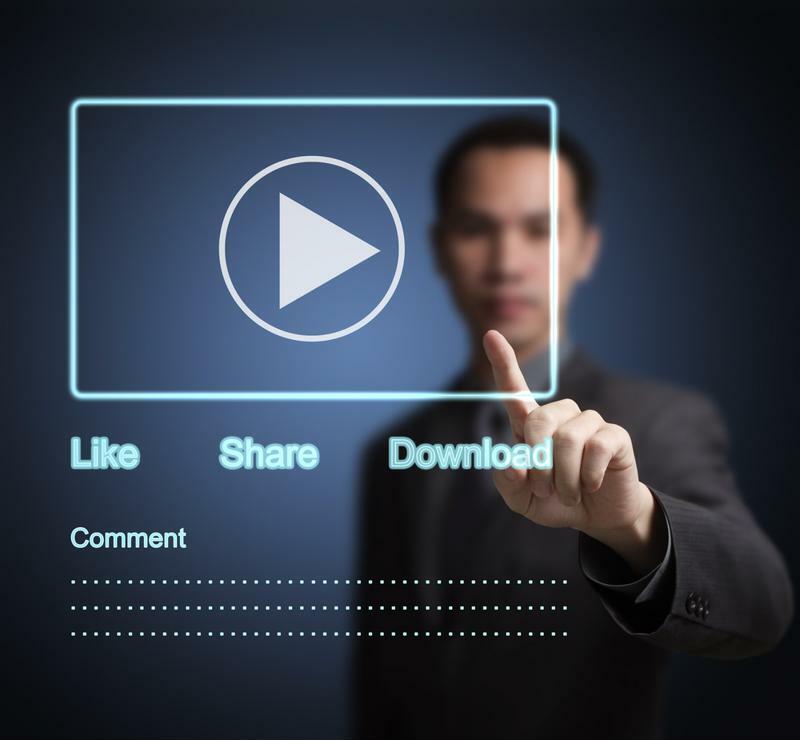 Businesses now use more technologically advanced tools than ever before. These IT systems form the backbone of some of your company’s most mission-critical processes. However, if one of these resources should go down, or if employees aren’t sure how to use them appropriately, your organization may not be reaping as many benefits from its IT solutions as it could be. This is where the enterprise help desk comes into play, and becomes such an important part of the company. 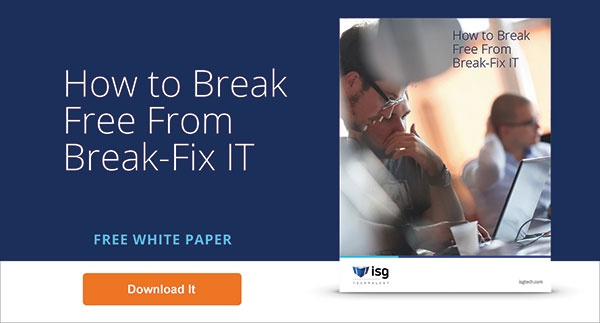 This critical resource provides a place for employees to reach out to when problems occur, and enables the IT team to be in the know about the latest issues it needs to address. With a team of experts handling help desk calls, your internal IT staff no longer has to worry about the red phone, so to speak. An outsourced service shifts the responsibility of help desk calls off your IT department’s plate, giving them more time to focus on other, mission-critical initiatives. There are a number of new IT trends and advancements taking place every day. If your IT team is busy answering help desk calls and chasing down solutions, they may not have the time they need to institute these innovations within your company. Without the burden of help desk calls, though, IT teams have the resources they need to investigate and educate themselves on the newest strategies, and can bring these to the attention of the executive boardroom. One thing that holds many organizations back from adopting a managed solution are perceived concerns about cost. 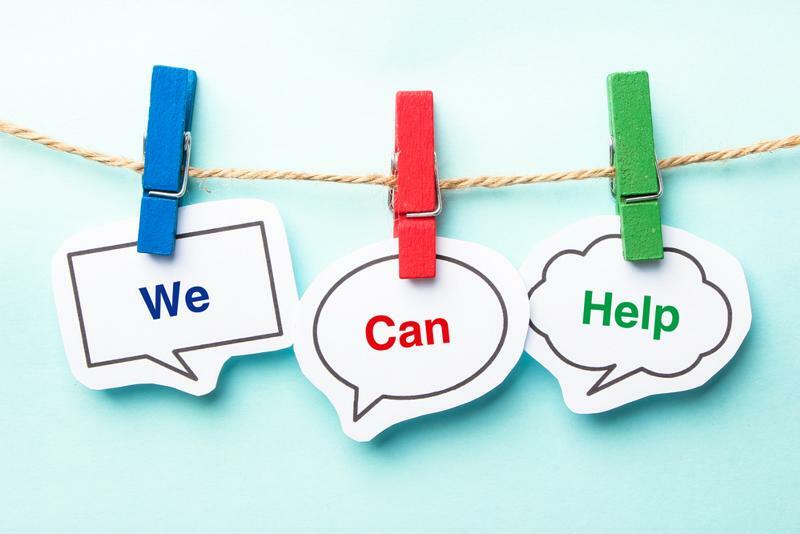 An outsourced help desk solution, like many managed services, can actually help an organization save considerably, particularly when it comes to staffing, equipment and training expenses. Outsourcing your helpdesk means that an expertly resourced team takes on this responsibility. In this way, your business can save time and money and need not worry about things like training, the necessary hardware and software, a space for the help desk team or hiring new staff members to support it. An affordable managed help desk, however, can help eliminate these expenses, ensuring expert support at a fraction of the cost. A help desk service is critical to business, and is even more impactful when handled by outsourced experts. The priority of any help desk is to solve any and all issues that come its way. This means that providing an enjoyable experience for the caller can sometimes fall to the wayside, especially for internal staff members. An outsourced team, on the other hand, doesn’t just offer top-notch, knowledgeable IT support – these experts are also trained in client support. This means that every request to the help desk is met with a quick and courteous response, providing the best experience possible for your employees. To find out more about how a full-service help desk solution can benefit your company, contact the experts at ISG Technology today. A study conducted by Databarracks revealed that most people within the field of IT see disaster recovery and business continuity as codependent – and rightfully so. The survey of 404 IT professionals from 19 different business sectors revealed that 88 percent of these IT workers had a specific disaster recovery plan embedded within their business continuity plan. Furthermore, 7 percent of businesses that currently had a business continuity plan without a disaster recovery solution planned on creating one within the next year. These numbers simply speak to the importance of disaster recovery solutions, as well as the often forgotten difference – and link – between disaster recovery and business continuity. Many people think these terms are interchangeable, however, the reality is that disaster recovery is simply the portion of a business continuity plan that has to do with saving data to prepare for a disastrous event. Business continuity as a whole sees the bigger picture by trying to get the entire business back to working order, as opposed to just scraping by after a calamitous event..
What types of disasters are hitting IT? The Databarracks survey also had some interesting information about the leading causes of data loss within the IT industry. The study found that 24 percent of disastrous events resulting in lost data were the result of human error. This is just above hardware failure, which was second with 21 percent. What this means is that companies need to keep the mistakes of their employees in mind when in the process of creating a business continuity and disaster recovery plan. Thankfully, professionals in the disaster recovery and business continuity field like ISG Technology can help companies navigate the tricky process of creating these types of plans. With over 30 years of disaster recovery experience, ISG Technology has a team of experts that can work to create a business continuity and disaster recovery plan that is right for your business. One of the hardest IT assets for organizations to shop for are those that control employee access to software and other network applications. There are so many new technologies emerging all the time that it can be hard for enterprise IT decision-makers to pick which ones are ideal for their business. When choosing the solution that is best for a company, it's important to look at a few key factors: price, functionality and security being chief among them. No matter how fancy and new a technology may be, if it's too expensive, doesn't work the way it needs to all the time and doesn't keep information secure, there's no reason to invest in it. Luckily, the search is over, as desktop virtualization solutions offer businesses all of the access they need with the management and security options necessary to keep critical information protected. Desktop virtualization solutions are technologies that separate traditional desktop environments from the application software associated with them from the physical device that is used to access them. For companies looking to centralize control over critical information and offer central access to desktop applications for employees working remotely or on the road, hosted desktops or desktops-as-a-service are the most reliable solution. When it comes to the deciding criteria of price, functionality and security, desktop virtualization meets all three. Desktop virtualization is a cost-effective solution for businesses in two different ways. First, using a virtual desktop infrastructure can save organizations money if they deploy thin client devices in place of desktops. Thin clients usually cost between $200 and $300, whereas fully equipped PCs can cost thousands of dollars. "VDI technology could save companies more than $150 per desktop every year." The other way desktop virtualization saves enterprises money is by reducing administrative and maintenance costs. Utilizing VDI technology can reduce costs between 30 and 50 percent for IT administrators by decreasing the need to manage, patch, upgrade and support employees' PCs in a traditional client/server environment. Some vendors have estimated that VDI technology could save companies more than $150 per desktop every year, Forbes reported. "DaaS is continuing to grow steadily, primarily in the SMB space," observed Kevin Rhone, senior partnering consultant in the Channel Acceleration Practice of Enterprise Strategy Group. "It's all about a lower [total cost of ownership] and the view that managing desktops is not core; it's a 'relatively' low-value task [that] they can and should outsource." Virtual desktops offer businesses the functionality and security they need at a good price. One of the main reasons many business turn to desktop virtualization is to provide improved access for employees that work outside of the office. VDI technology allows staff members to easily use the same programs and applications they would in the office from their personal devices while IT administrators are still able to manage and secure network activity from these remote locations. Utilizing DaaS allow companies to have their PC experience delivered and maintained by a third-party cloud provider. In such a scenario, cloud service providers are in charge of installing the necessary back-end infrastructure to support VDI technology as well as the maintenance and management that goes along with it. "Another key advantage of DaaS solutions is their ability to provide a very fast desktop experience without the maintenance and cost of an on-site data center — these efficiencies comes through the availability of more reliable — and faster — network connections," said Matthew Hopkins, a research associate with VDC Research, in an interview with TechTarget. Desktop virtualization and DaaS solutions offer companies greater security by allowing employees a way to access critical enterprise information that can be managed and monitored by IT administrators. Where businesses once had to deal with the consequences of shadow IT that cropped up when impatient staff members wanted to access programs, hosted desktops enable workers to use the same applications and software remotely as they would in the office, cutting down dramatically on the number of unauthorized programs being used and the likelihood that a data breach will occur. When businesses are looking to adopt new technology such as desktop virtualization, partnering with a trusted third-party service provider is one of the most reliable ways to ensure a smooth and successful transition. Organizations like ISG Technology offer decades of industry experience that allows them to create customized programs that will work for each individual business. ISG​'s knowledgeable staff enables companies to access the support necessary for a successful deployment.